Boat's gel coat in very good condition showing no scrapes or marks. No bottom paint as it is a fresh water boat. Seating and carpet also in very good condition with no signs of wear or tearing. Also no signs of spider cracking and all hardware in good condition. Engine and compartment also very clean. 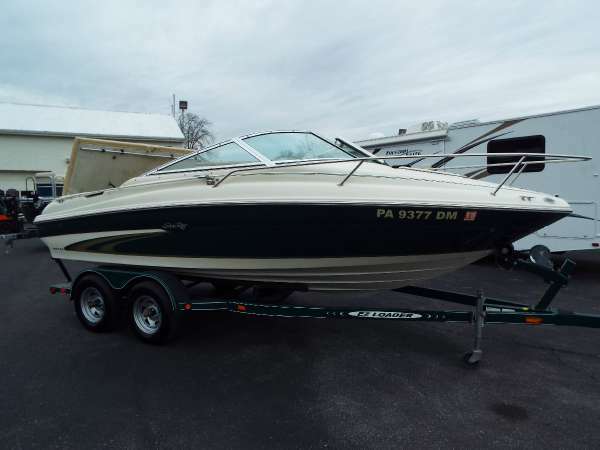 Stock #157133 2008 SEA RAY 250 SLX MERCRUISER 350 MAG TRAILER INCLUDED If you are in the market for a bowrider, look no further than this 2008 Sea Ray Select 250, just reduced to $45,900 (offers encouraged). 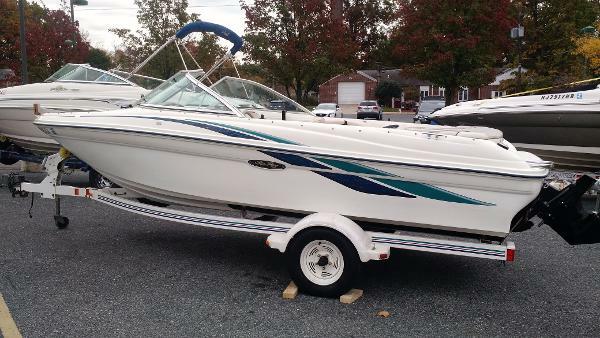 This boat is located in Bensalem, Pennsylvania and is in great condition. She is also equipped with a Mercruiser engine that has only 178 hours. 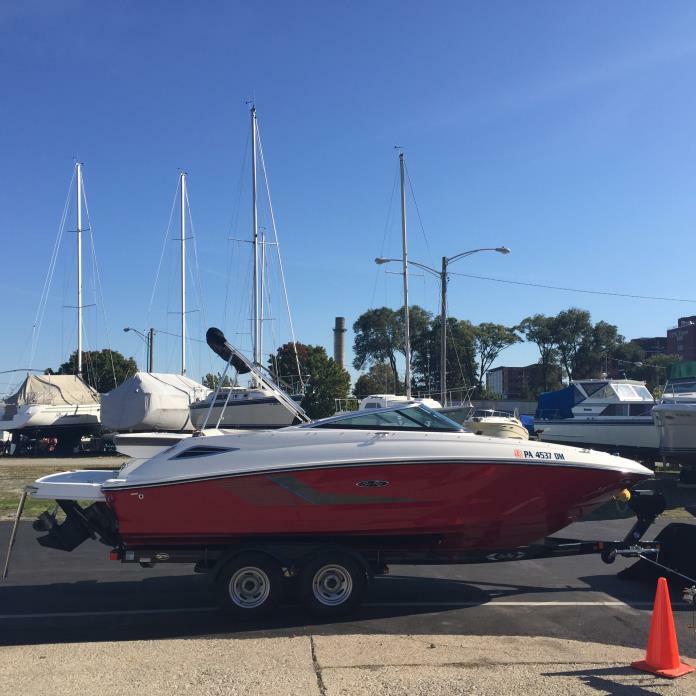 Reason for selling is looking to downsize to a lighter and smaller boat. Radar Autopilot AC/DC Refrigerator Windlass Ice Maker (needs freon recharge) Central Vacuum Cleaner Flares Life Jackets Cassette Radio (electronics update needed) TV/DVD player Every manual and paperwork included. Cockpit snap-in carpets (NOT SHOWN) need replacing, Owner has saved older carpets for future template replacement. Spare tools in the engine compartment included. Stock #162659 Nicely loaded 340 Express! Full canvas! New headliner! 454 straight shaft engines! If you are in the market for an express cruiser, look no further than this 1988 Sea Ray 340 Express Cruiser, just reduced to $21,500 (offers encouraged). This vessel is located in Erie, Pennsylvania and is in decent condition. She is also equipped with twin Mercruiser engines that have 1,295 hours. Reason for selling is switching over to wind power. This 2014 Sea Ray 190 Sport looks great !! I noticed two small scratches, one the port side and one on starboard side The interior upholstery looks great The engine was looked like it just came off the showroom floor The bimini top and full cockpit canvas looked to be in great condition The 2014 Shorelander trailer looked to be in great condition as well and tire tread looked to be excellent. The Seller owns a performance automotive shop and keeps the boat in top condition. DONT WAIT ON THIS ONE !! PRICED TO $ELL !! 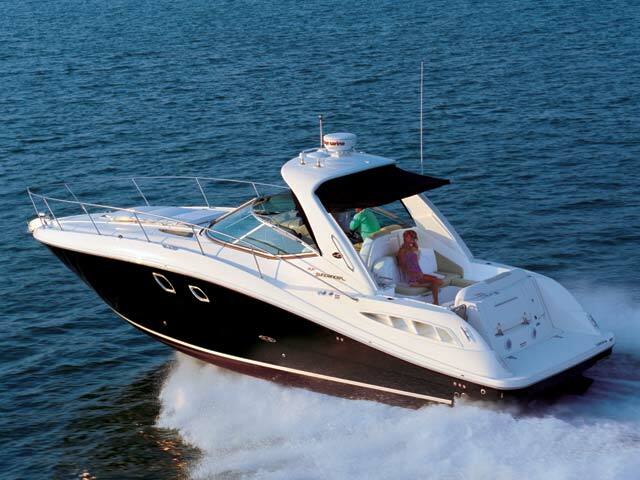 Stock #149170 SEA RAY 190 SPORT - ONLY 123 hours! Trailer included ! STORED INDOORS !! 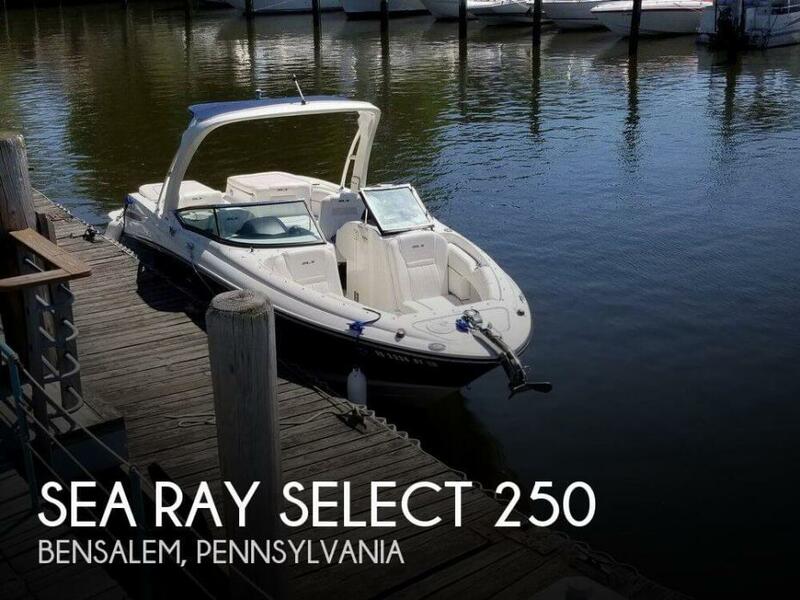 If you are in the market for a bowrider, look no further than this 2014 Sea Ray 190 SPORT, priced right at $26,700 (offers encouraged). 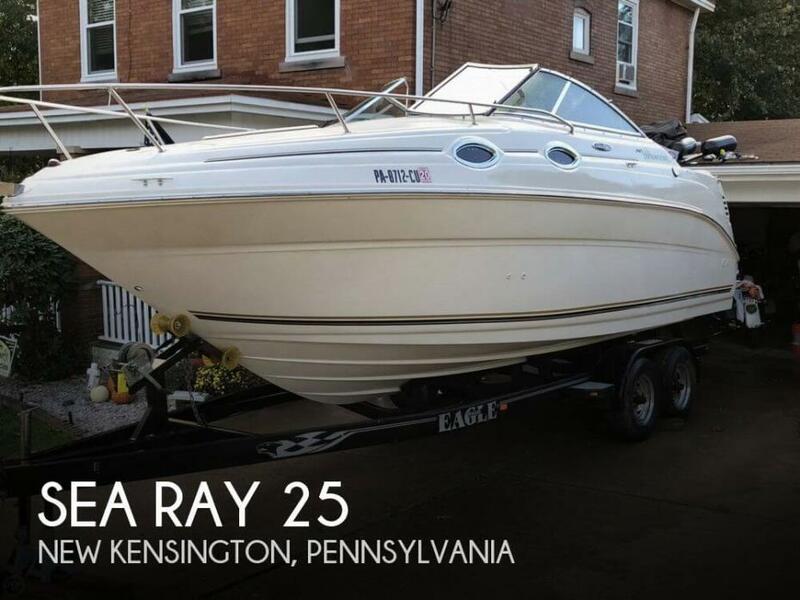 This boat is located in West Chester, Pennsylvania and is in great condition. She is also equipped with a Mercruiser engine that has only 123 hours. Stock #088910 Bravo 3 duoprop 377 Hours on the motor Trailer included! If you are in the market for an express cruiser, look no further than this 2004 Sea Ray 25, priced right at $27,500 (offers encouraged). This boat is located in New Kensington, Pennsylvania. She is also equipped with a Mercruiser engine that has 344 hours. Reason for selling is does not use.. The cabin is bright and very clean. The headliner, cloth trim and cushions look brand new and show no rips. All visible surfaces in the cabin are in excellent condition including all of the countertops, flooring, and stovetop. 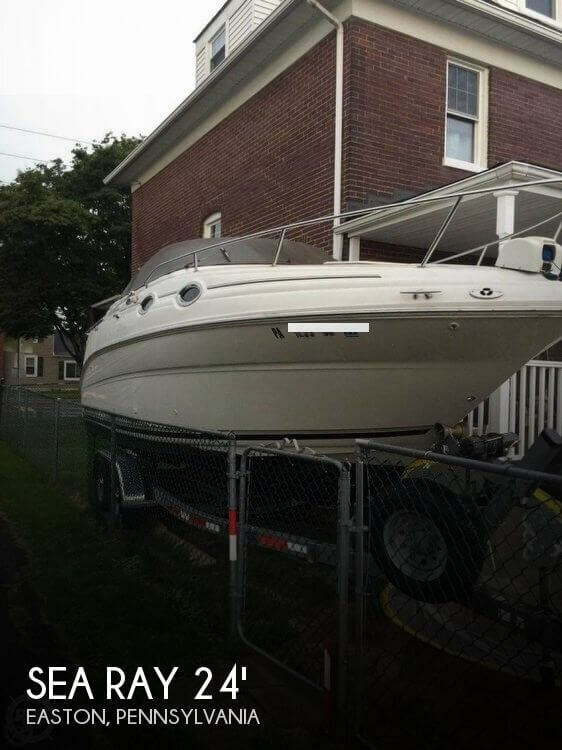 According to the seller, the boat is in good mechanical condition. Everything is believed to be in working order. 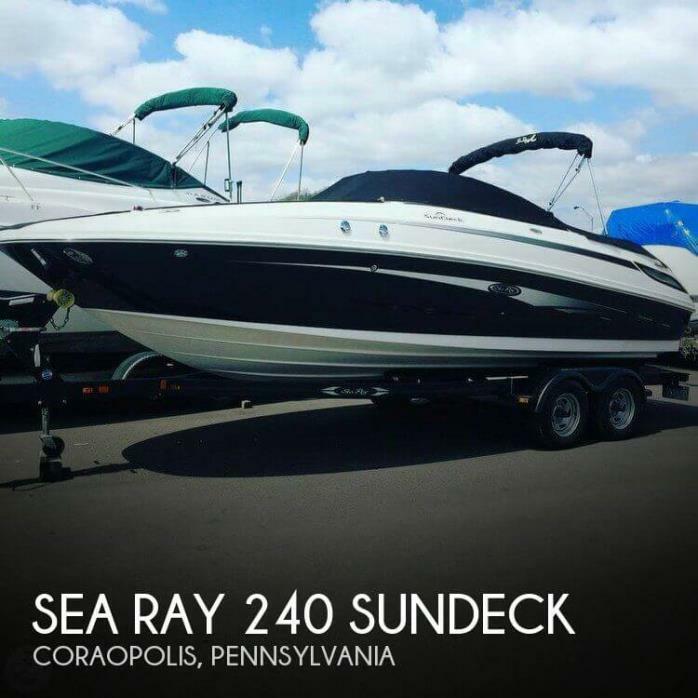 Stock #164874 WOW, you will not find this much boat for so little money ever again, this SEARAY will give you all you need and more. get it while it lasts. If you are in the market for an express cruiser, look no further than this 1993 Sea Ray Sundancer 290, priced right at $21,500 (offers encouraged). 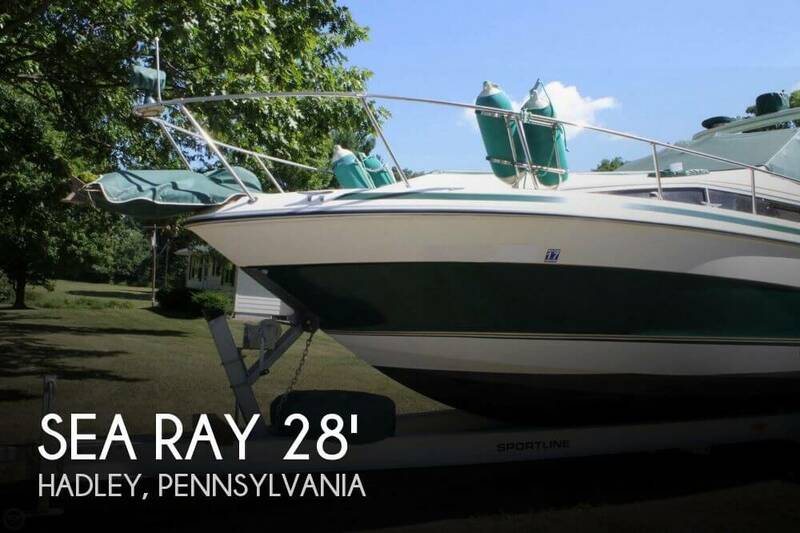 This boat is located in New Castle, Pennsylvania and is in good condition. She is also equipped with twin Mercruiser engines that have 855 hours. Reason for selling is no longer boating. Exceptional value for a boat of this age. This boat has all the options that most boaters would want. It has been exceptionally maintained by someone who wanted to make repairs and maintenance easy, as well as make life aboard much simpler. He has made many improvements mechanically like the engine battery emergency jump system, and, physical improvements such as added storage and teak shelving to the interior of the cabin, head and berths. Stock #078406 Fully equipped with every option! Needs Nothing! If you are in the market for an express cruiser, look no further than this 1986 Sea Ray 268 Sundancer, just reduced to $24,300 (offers encouraged). 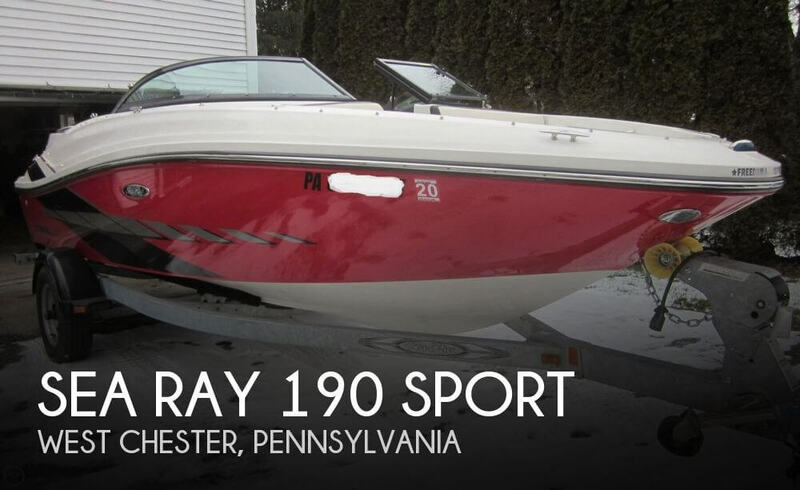 This boat is located in Hadley, Pennsylvania and is in great condition. She is also equipped with twin Mercruiser engines that have 576 hours. Reason for selling is owns four other boats..
2005 Sea Ray 180 Sport 2005 Sea Ray 180 Sport with Mercruiser 3.0 stern drive, 135 HP. Only 155 hours. 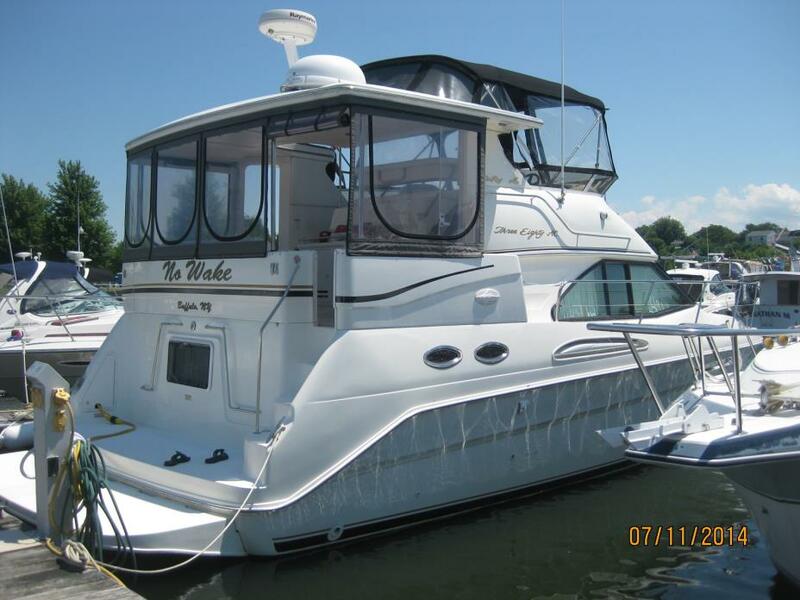 Excellent condition with bimini top, Lowrance GPS/depth finder, mooring cover and galvanized trailer. Well maintained, fresh water use only and stored inside. 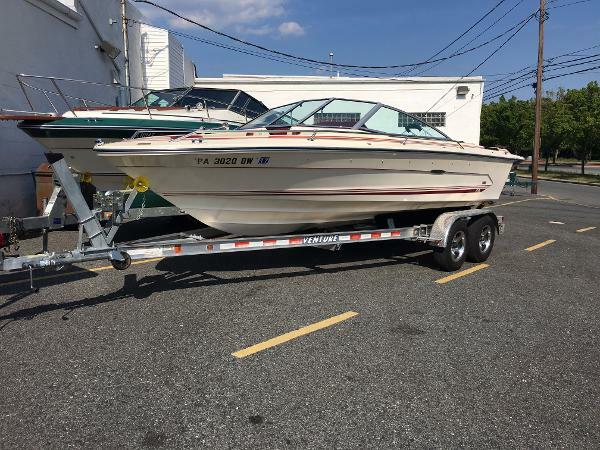 1999 Sea Ray 190 CC Signature Hurry.... This is a NICE ONE! Wait until your neighbors see you pull this "SEA RAY" in the driveway. Super clean 1999 190 CC Signature, with sport seating. Snap on cockpit cover, powerful 2006 Mercruiser 4.3 MPI fuel injected V-6. Only 225 hours logged on this crème puff. Stereo, custom tandem axle trailer, brakes on one axle, tilt steering wheel, aft deck tilt switch, engine fire extinguisher system, bearing buddies. Beautiful green and tan. Don't settle for less. 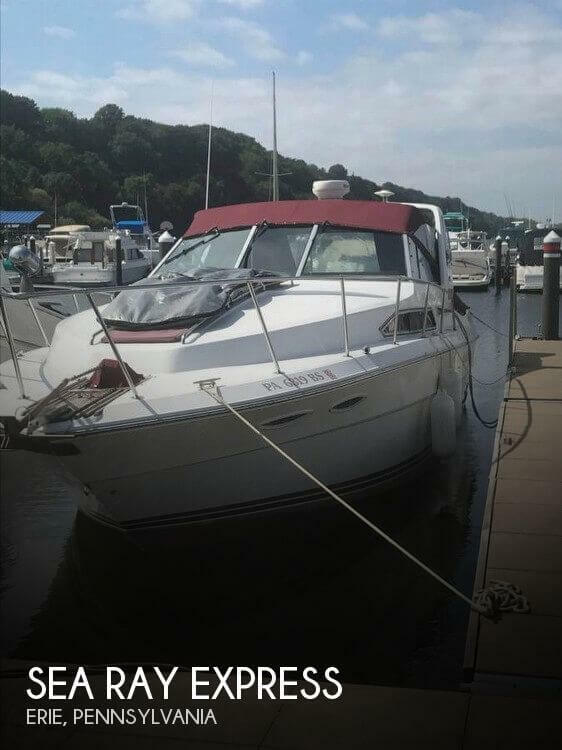 This baby is a SEA RAY... Internet Priced... no haggling.. - She is a BEAUTY!! 2013 Sea Ray SunDeck Sea Ray 220 Sundeck Red Hull 5.0L 260 hp Alpha Drive 58 Fresh Water engine hours. Docking lights, Indirect blue LED cockpit lighting, Cockpit table with dedicated storage, Bow filler cushions, Bow boarding ladder, Enclosed Head, Portable VHF radio, Dual battery and switch, Two covers-Mooring and Storage/Trailer, and Bimini. 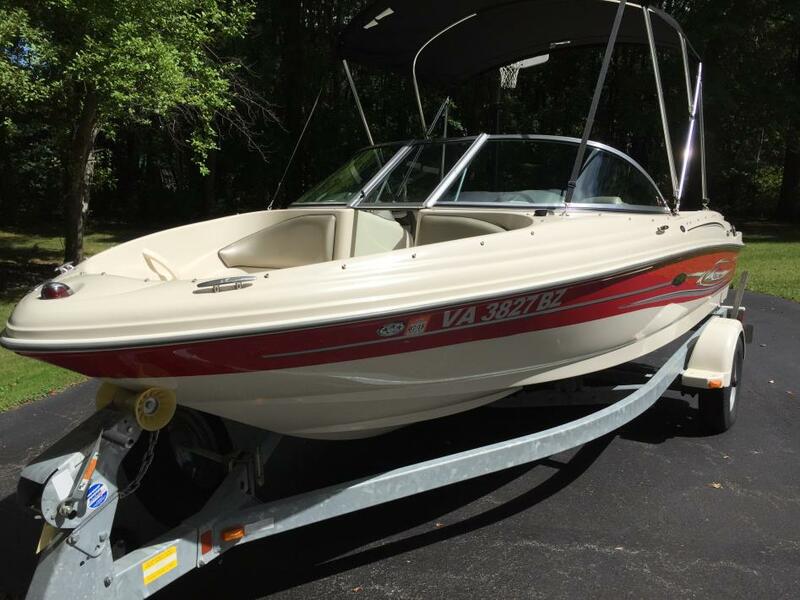 Original owner, great condition current Sea Ray model with trailer. All equipment needed for operation (lines, anchors, safety devices). Always stored heated indoors, all maintenance done prior to storage and ready for 2017 operation. Pictures are current, taken before going into storage Fall 2016. 1998 Sea Ray 180BR 1998 Sea Ray 180 Bow Rider Stern Drive Length 18 Max people 8 Gelcoat - White with blue & green graphics ( Clean look ) Bimini top & boot Mercruiser 135 Horsepower Model 3.0 L Alpha one sterndrive ( one propeller ) Shorelandr Trailer Painted finish Brakes Custom fit for the boat ( perfect unloading & loading ) Pricing: $6,995 . Video Reference Note: This video is only for model reference. It is not the boat for sale. 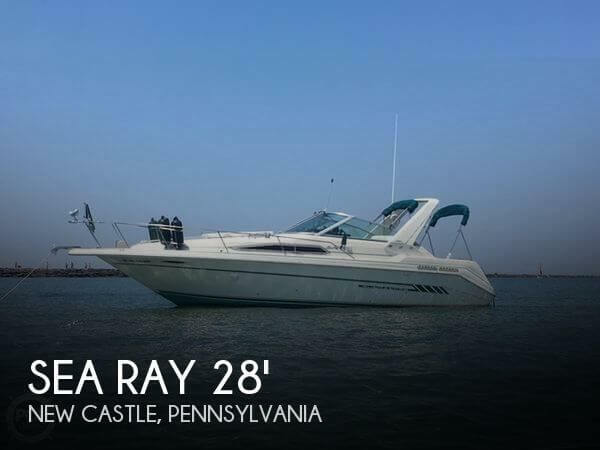 2000 Sea Ray 380 Aft Cabin Well maintained yacht on the shores of lake erie for sale by second owner. Perfect for a large family or retired couple looking for that condo on the water. 2008 Sea Ray 330 Sundancer, Sister ship Shown. This is a one owner boat that has been professionally maintained. 2008 Sea Ray 330 Sundancer equipped with Twin MerCruiser 6.2L MPI SEACORE w/ Axius Bravo III. Other options include Pewter Colored Hull with Bottom Paint, Front sun Pad with backrest, Cockpit Cover, 5' Spotlight, 3 TV's, Cockpit Grill, Vacuum System, Premium Cockpit and cabin Sound System, Macerator, 5.0 KW Kohler Generator, Under Swim Platform Lighting. Mercury® Installation Quality Certification - standard 2-year limited engine warranty.